Wouldn’t it be fantastic if getting legal advice was as convenient and comfortable as getting a cup of coffee? What if your lawyer was as familiar and accessible as your favourite coffee shop down the block? 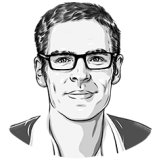 Could a law firm possibly be a place where people would choose to spend time? For several years, I have preached a return to Small Law. This comes primarily as a response to Big Law. My version of small law is defined by old fashioned customer service, a sustainable work environment, and an affordable pricing model. Small law tends to work best for traditional retail legal practices such as wills and estates, real estate, immigration, family and personal injury. Here in the UK, smaller street-level solicitor practices are a common sight. People like coffee. Lawyers especially like coffee. With coffee playing an essential role in the lives of both lawyers and clients, why not a coffee shop law firm? There are already several proof-of-concepts. 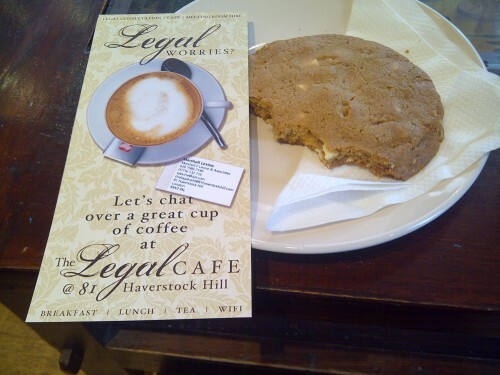 In London, you can find The Legal Cafe in Haverstock Hill. In California, you can find the Legal Grind. I think this model should offer inspiration to Canadian lawyers. With the demise of Heenan Blaikie, it may be time to consider alternative ways of running a law firm. In particular, it may be time to be more than a law firm. Care for a cookie with your divorce?